Facebook has become a great way to connect with new model car builders, and even some aftermarket companies. Recently, we were introduced to a really cool company called Factory 81. At first it looked like they only produced a limited number of rims and tires for tuners, but that first look was a little bit too quick. It turns out Factory 81 not only makes some great rims and tire sets, but they have produced some very impressive trans-kits as well. 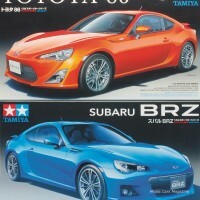 I was really impressed with their new wide-body kit for the Tamiya/Aoshima Toyota 86/Subaru BRZ kits. 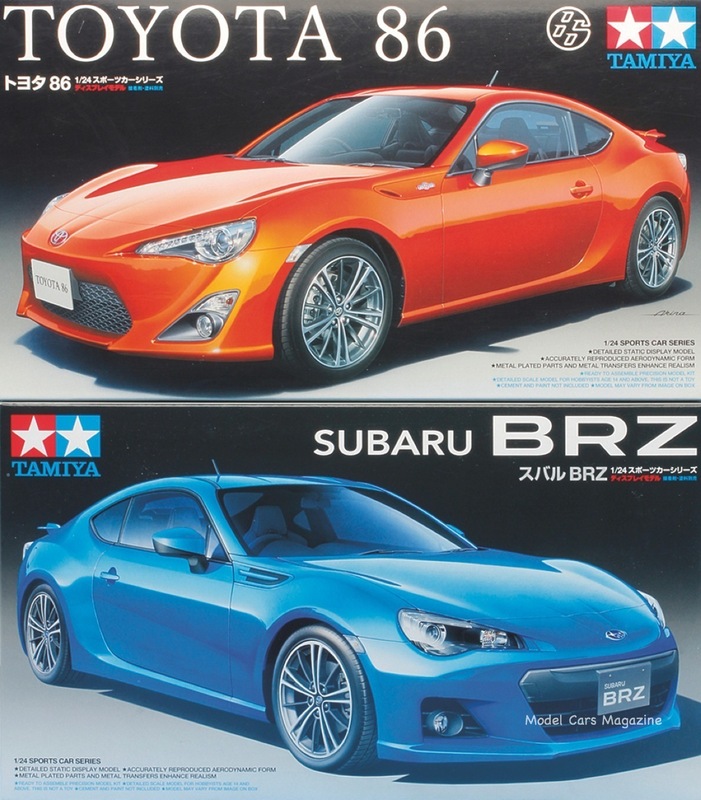 The Toyota 86 and Subaru BRZ are actually the same car, with each manufacturer adding their own badges and logos. The car was a joint effort between the two companies, in search of the ultimate lightweight and powerful sports car. I think it’s great. If you are either a Toyota/Scion fan, or a Subaru fanatic, you have your choice of a sweet machine that will leave your friends jealous and you’ll have a smile on your face. 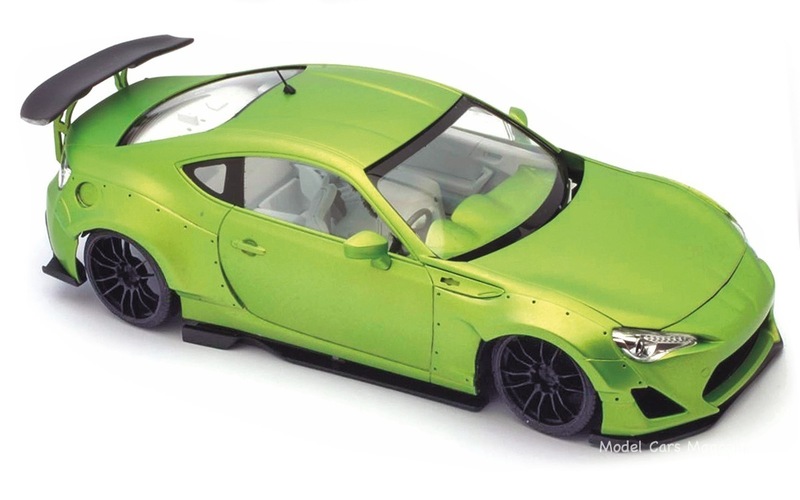 The Rocket Bunny wide-body transkit is designed to fit on either the Tamiya or Aoshima Toyota 86 or Subaru BRZ. 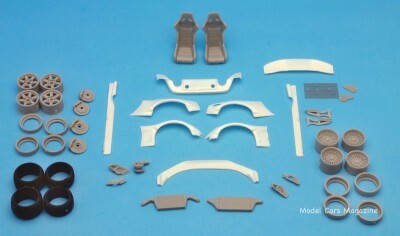 The Aoshima kits have options for engines, and right or left-hand drive.